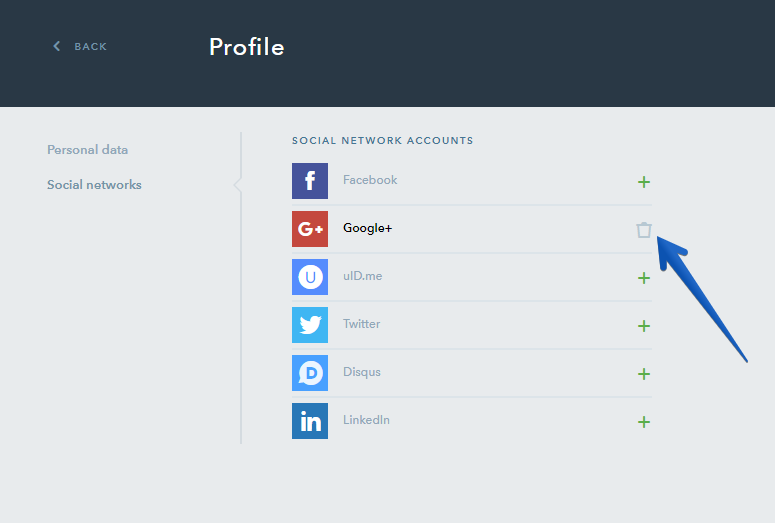 The profile has 2 tabs: Personal data and Social networks. Under Personal data, you can change your name, email address, password, phone number and also add your picture (avatar). 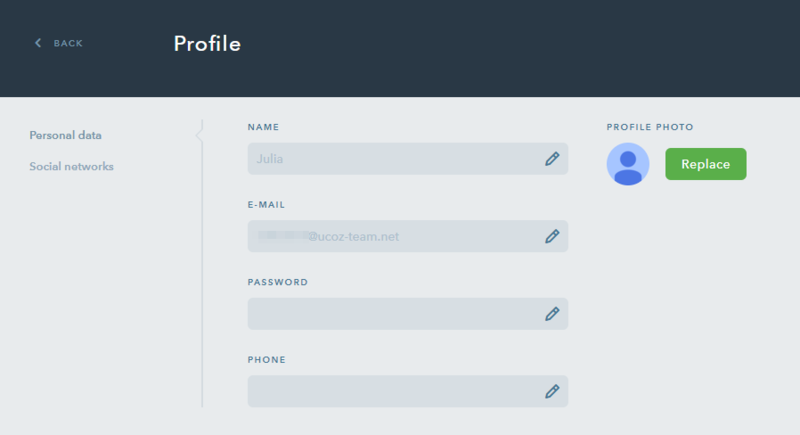 Under Social networks, you can connect your social media accounts to uKit which will allow logging in to the uKit account without using your email and password. Your account email is the one you use for logging in to uKit. Also, this is the email which by default receives system notifications, uKit newsletters, messages sent through contact forms and other widgets on your uKit website. Click on the “pencil” icon in the Email field. Enter your new account email. You will receive a confirmation email to the new email address. Please follow the link contained in this message in order to confirm the change of the account email. 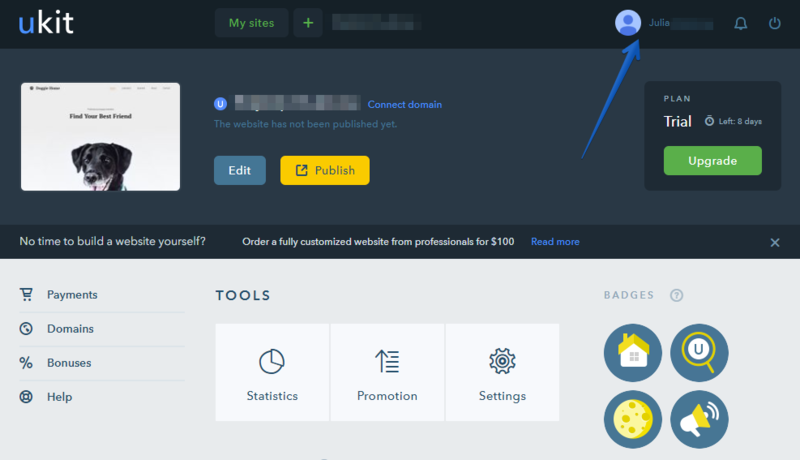 Make sure you have confirmed your email address — this is necessary to receive notifications and other messages sent from your website. How Do I Change Password for My uKit Account? Click on the “pencil” icon in the Password field. Specify your current password and enter a new one. If you don’t remember your current password, it can be restored on this page: https://ukit.com/passRestore. 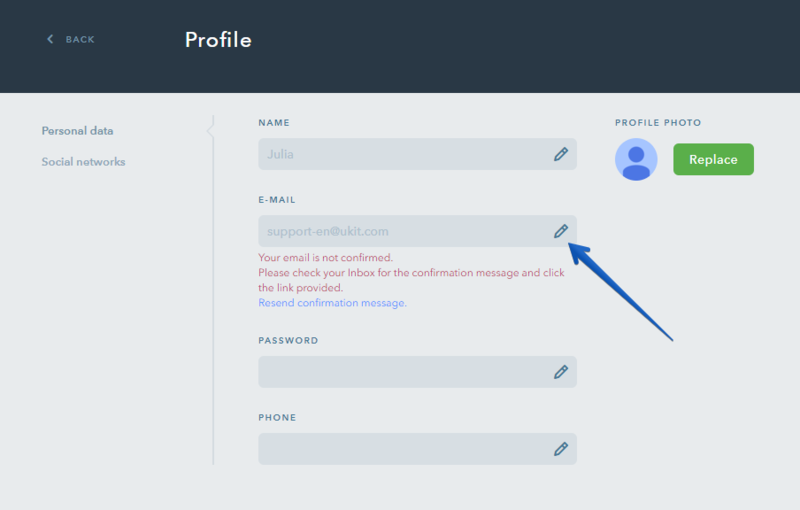 Why Should I Specify My Name and Phone Number in My uKit Profile? In the Personal data tab, you can also specify your name and phone number. This is not obligatory but this information can help us identify you as the account holder in case you lose access to your account. 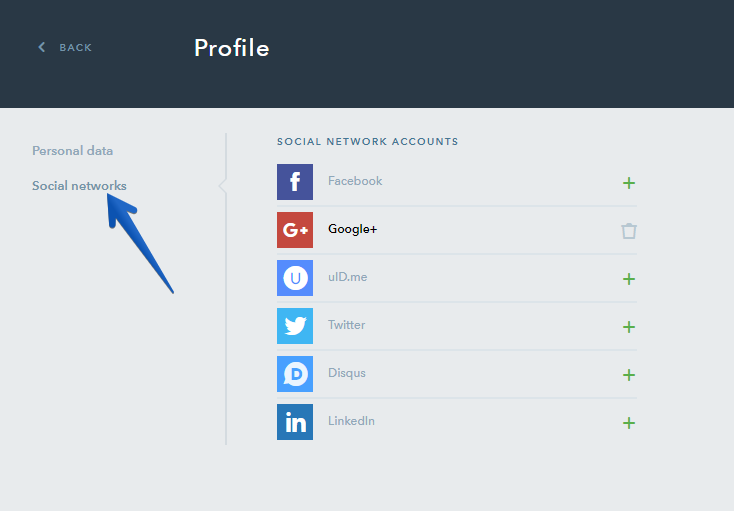 To connect a social media account to your uKit account, go to your uKit profile and click on the Social networks tab. 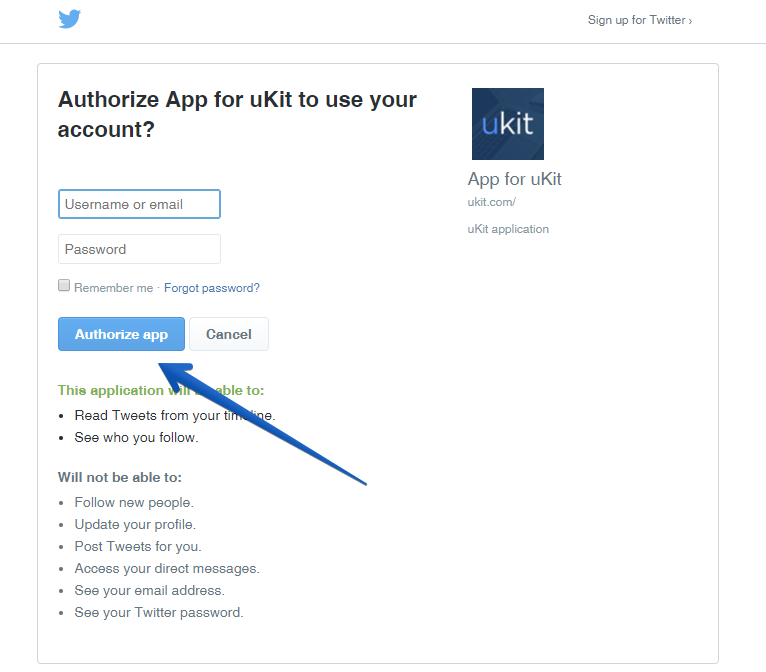 Any account with the social media listed there can be attached to uKit so that you can access your uKit account through social media. 17 people found this article helpful.